Thank you to all who attended my book signing at Pages: A Bookstore in Manhattan Beach last night! It was a full house and I had so much fun chatting and getting to know all of you. Thank you to Pages bookstore for hosting yet another great event. For those of you who would like a signed copy of any of my books, Pages has a limited amount of signed copies. Be sure to give them a call at 310-318-0900 or email info@pagesabookstore.com to order. The great highlight of the evening for me was getting to meet Bethany Herwegh, The Glamorous Housewife. For those of you who do not know Bethany, she has a wonderful blog full of vintage-inspired tips, tricks and recipes. Bethany also has a fabulous YouTube channel where she most recently has started a wonderful cooking show that remakes vintage recipes with a modern twist. Check out her blog here and her YouTube channel here. Also, check out Bethany's great review of Polish Your Poise with Madame Chic here. Have a great weekend everyone and see you on Monday when we discuss the 5 characteristics of poise. Thank you so much for your incredible reception of Polish Your Poise with Madame Chic. I've already heard from so many of you who are just loving the book. Thank you for reaching out to me, I love hearing from you. In this week's bonus video, I want to encourage readers in what I truly believe: that anyone can have poise. I want to thank you again for all of your private messages and comments. If you love Polish Your Poise with Madame Chic, please consider writing an online review on Amazon or Barnes & Noble and share your passion about this subject with others. Authors appreciate this more than you know. My husband snapped this photo of me signing books at Barnes & Noble, Santa Monica on release day. I will be speaking and signing books tonight, October 29th at Pages: A Bookstore in Manhattan Beach, CA at 7pm. RSVPs appreciated. Call 310-318-0900 or email info@pagesabookstore.com to let them know you plan to attend. Check out my extensive interview with Cupid's Pulse on poise, dating and the new Madame Chic book. The fabulous Bethany Herwegh from The Glamorous Housewife adores Polish Your Poise with Madame Chic. You must check out her fabulous blog and tell her I said "hello"! 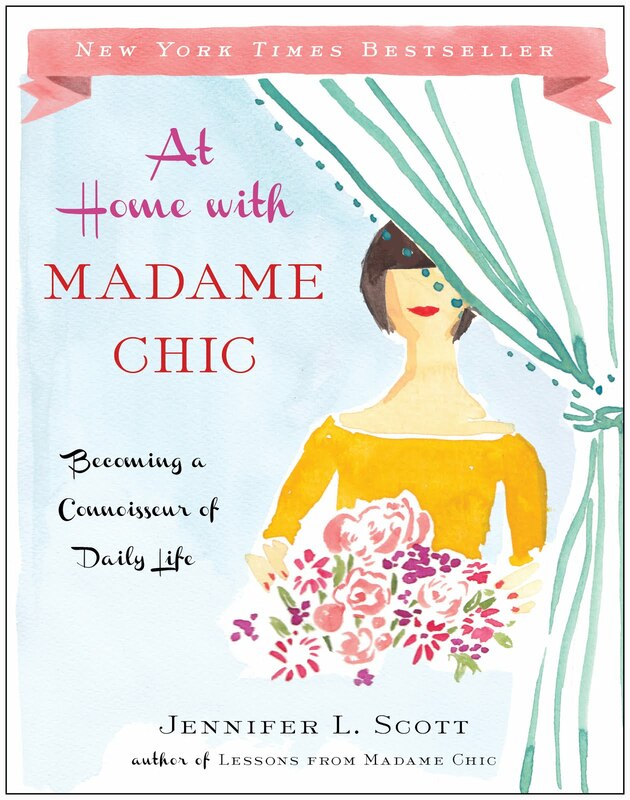 Diva and the Divine writes a wonderful review of At Home With Madame Chic. Madame Inspiration loves the Madame Chic books and is blogging about her own ten-item wardrobe. I was raised by a mother who would get up at 4am, regardless how little sleep she got, to put on full makeup, just to sweat it off in a steel processing plant as a millwright (she was definitely criticized and bullied by some female coworkers, but she never quit). She also ironed every piece of clothing for me and my brother, and made sure we always looked our best. Because of that, I went into the fashion industry, and was NEVER the "sweats-wearing" scholar. I'm living proof that if you are a parent who leads by example and instills certain standards in your kids, they'll carry on the tradition (for the most part). You're an inspirational woman, Jennifer! The world needs more people like you, and your message can be the change the world needs to raise their standards again! Thank you for your comment, Jocelyn. Your mother sounds like an incredible lady! I suppose, I've always been a little bit fancy! I am so happy to announce that my newest book, Polish Your Poise with Madame Chic: Lessons in Everyday Elegance, is now out in North America. This book is so important to me. Many might think that it is a simple little etiquette book, but truly, if you apply the concepts in this book to your life, it will enrich your life forever. Polish Your Poise with Madame Chic revives the timeless quality of poise and shows how to cultivate it as a daily practice and a life-long endeavor. Just step out your door today and you will notice that poise is a rarity in our wired, fast-paced, and unmannerly world. As uncivil behaviors like flip-flops at Broadway shows and digital oversharing proliferate, this timely book reminds us of the quiet power of behaving with dignity, kindness, and grace. 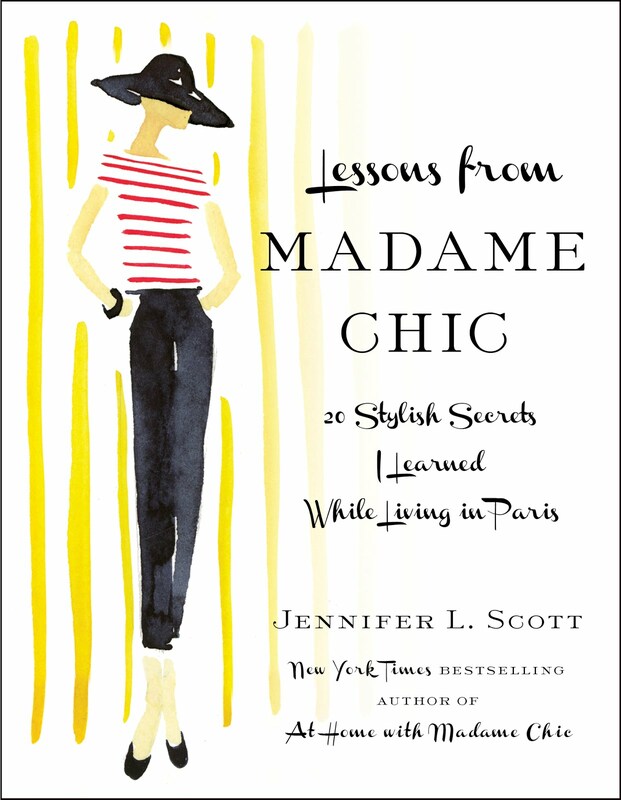 Jennifer Scott’s Parisian mentor, Madame Chic, embodied poise, and not just with the good posture, stylish attire, and natural manners that made her extraordinarily elegant. She also demonstrated steady assuredness and graceful calm in everything she did—from interacting with her family and receiving guests at home to presenting herself in public. 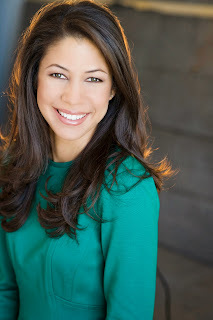 Jennifer L. Scott passes on the lessons she learned as well as some of her own hard-won wisdom, addressing topics such as proper attire at social events, good grooming, communication skills, hospitality and being a good guest, our interactions with neighbors and strangers, role models, self-discipline, and self-image. 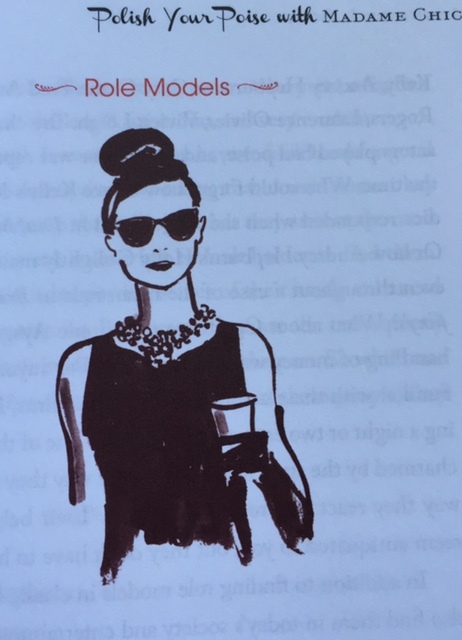 This charmingly illustrated, practical, and inspiring book, full of tips, lists, and ideas, is certain to start a new conversation about the timeless art of poise. Please check out my video above. If you are unable to see it, click here, look in the sidebar of this blog, or visit my channel www.youtube.com/TheDailyConnoisseur. If you enjoy Polish Your Poise with Madame Chic, please share it with your friends, talk about it on social media (use the hashtag #MADAMECHIC) and write a review online. Let's start a much-needed dialogue on the power of poise. I will be doing a book signing and reading at Pages: A Bookstore in Manhattan beach this Thursday, October 29th at 7pm. RSVPs appreciated. Call 310-318-0900 or email info@pagesabookstore.com to let them know you plan to attend. Thank you to the Hostess of the Humble Bungalow for your lovely review and giveaway of Polish Your Poise with Madame Chic. Thank you to the lovely Fiona Ferris of How to Be Chic for your excellent review of Polish Your Poise with Madame Chic. I am the featured guest on Kimberly Wilson's Tranquility Du Jour podcast discussing At Home With Madame Chic and so much more in this wonderful new episode. Thank you to Shannon Ables of the Simply Luxurious Life for listing Polish Your Poise with Madame Chic as her petit plaisir. Happy reading! 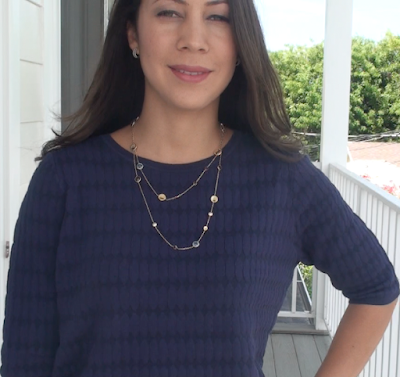 See you on Thursday for a special bonus post and video on how anyone can have poise. Follow-Up Discussion: Exercise Clothes in Nice Restaurants? Today's video is a follow-up discussion on last week's post, Exercise Clothes in Nice Restaurants? I had a feeling this post would spark a passionate debate among readers, but I had no idea how passionate it would be! I have received hundreds of comments on the blog, YouTube channel, facebook and email from people passionately for or against the subject. The majority of readers agree that standards of dress in our society have fallen steeply. And as is indicative in the comment section, people all around the world are noticing that people are no longer dressing appropriately for nice dinners, outings to the theatre and even weddings. 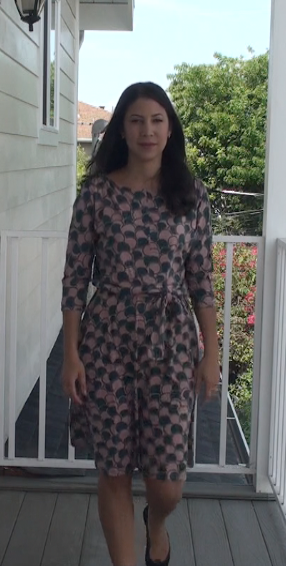 I do hope you watch this week's video, which follows up on the discussion and includes the ideas that we must dress for the occasion, what Madame Chic would think of all of this, ideas on how you can cover up your exercise clothes if desired, and a few of my favorite comments from the week. If you are unable to see the video above, click here, look in the sidebar of this blog, or visit my channel: www.youtube.com/TheDailyConnoisseur Don't forget to subscribe to my YouTube channel as I will be uploading many bonus videos with the launch of my new book and the holiday season upon us. This video is being posted early because on Tuesday you will see me again for the launch of Polish Your Poise with Madame Chic. I can't wait! I will be speaking and signing books at Pages Bookstore in Manhattan Beach, this Thursday, October 29th at 7pm. I hope to see you there. I will be signing additional books for Pages to sell after the event, if you'd like a signed copy. Please give them a call at 310-318-0900 to reserve your signed copy. LOVE this discussion -- it's nice to know I'm not the only one who's tired of exercise clothes everywhere that they don't belong. I am seventeen, and as you have probably observed, my generation really seems to wear only sportswear. I've been a fan of your books for a long while now, and, when I read your first book, I felt such freedom in knowing that yes indeed I'm allowed to wear my favorite, glamorous, pink, frilly skirt to the grocery store (contrary to what everyone says)! I don't know if adults experience this, but as a teenager, people judge me by my "overdressed" appearance. Many people automatically think me (or anyone else dressed up) snobbish or without any depth of character because I have put effort into my appearance. They berate us for evaluating them at the face value in their very casual clothing, saying we judge them by appearance, but do the exact same thing to us! It's a strange world, isn't it? Mary Grace, I am so relieved to meet a seventeen-year-old with such a great head on her shoulders. Keep up the great work! Jennifer I agree with everything you have stated here. I work in law enforcement and I honestly can't believe how people show up to the courthouse to go before the judge. Honestly it is so disrespectful. PJs, slippers, pants hanging down so their underpants show. It has gotten so bad the judge throws them out of the courtroom along with a speech on respect. What happened to common sense and respect? Valerie, thank you for giving us a glimpse into your world. Good for the judge! My piano instructor is Japanese and was born and raised in Japan. She has such elegant poise and presentation in everything she does. When she would tell me stories of Japan, she would always describe details such as how the flowers blossomed in the spring, or more relatedly, how even a small trip to a convenience store would result in thoughtful hair and dress. She said going out in your pjs or work out clothes was non-existent. It's about mindful living. It's about loving yourself enough to demonstrate it to yourself by sitting up straight (which is soooo healthy for you) by caring for your hair, giving attention to your body, and respecting your self enough to mindfully decorate that "window" into who you are, that is, your image. Sweet Bean, your piano teacher sounds wonderful. It's great that you have such a poised role model in your life! In the US people spend so much money on clothes then don't dress appropriately! Crazy!! Sheila your comment made me laugh! I do notice that many people spend a lot of money on clothes they never wear. It is very bizarre! Hi Jacqueline, I chose your comment to discuss in this week's video. As a former theatre major myself, I do think it is inappropriate when I see people showing up to the theatre in flip-flops and cut off shorts because I know how much time and effort goes into each production. Thanks for sharing your perspective. I love Lupita Nyong'o. She has such poise and style. Thank you for sharing this quote. While silently soldiering on in our determination to set an example for grace and elegance in our deteriorating society is always the classy thing to do, it is still important to recognize that we need people who will politely and respectfully speak up on this sort of subject. Although being a example of the change we want to see in our society does help, it sometimes is not enough and things must be explicitly stated. Sometimes all it takes is this sort of dialogue to cause an "Ah-ha!" moment for someone who might not have recognized these patterns in their own behaviour had it not been for someone else's observation and opinion on this trend in modern society. I speak from experience on this, and am grateful to Jennifer for helping me have that "Ah-ha!" moment several years ago. Thank you, Jennifer, for continuing to be an example in a public way that allows us to have a discourse on this sort of subject. I admire that even when you address "controversial" subjects like this, you are always able to do so in a polite, respectful, and civil manner. Caley, thank you for your support. I do believe this subject needs to be spoken about. I am vested in being a living example, but I also believe that we all have the right to speak out about aspects of our society that disturb us. If I don't blog about it, no one will! I get so much flack for my opinion about this, but I completely agree. I feel as though my opinion is always met with the notion that I'm being elitist by saying people should dress up for things, but it really doesn't have anything to do with money. I'm a graduate student on a very low budget, and somehow that does not relegate me to sweatpants. In fact, the nicer skirts, blouses, and dresses that make up my wardrobe, and which are worn out to nice meals, music events, theater, and for teaching and conferences were MUCH less expensive than the "designer" sweats and leggings I see my students wearing all the time. Anyone who has been to a Goodwill or Salvation Army quickly deduces that nicer clothes are actually easier to come by in thrift stores, because they have less wear before people tend to get tired of them and donate them. All of my nicest dresses have been Goodwill finds. Five dollars for a dress, vs. $50 for a pair of Victoria Secret sweats or leggings. It seems like a no-brainer. On a personal note, one of the nicest things my boyfriend ever did for a gift was to take me to a very special restaurant that happened to have a dress code. Everyone was dressed to the nines (again, not expensively, just nicely) and it was a magical evening. Thank you, Lillian, for showing us that this issue is not about money, but dignity and respect. I have only known about you for a few weeks and I am already a big fan. Read your books, your blog [most of it, yes] and highly anticipating the next book, which I have pre-ordered. I am a Parisian and Madame Chic could have been ME, the way I was raised. It is so REFRESHING to find that I am not the only one feeling the way you are feeling about American society and the wrong trend it has adopted for a while now. I am part of a movement of women that are actually fighting back just like you are and love to read all these lovely comments from your admirers. You have brought back so much loveliness into my world. I want to say a bit MERCI. Looking forward to meeting you soon. A tres bientot j'espere. Hi Sylvie, it's wonderful to hear this from a Parisian's perspective. Thank you for your comment! Even if your comment wasn't featured in this week's section, please know that I have read it and value it. Thank you for being an integral part of this blog community. Before we close, check out this very funny parody video called, Activewear, that many readers sent me last week. I think this is just perfect considering what we've been discussing! Let us know what you think in the comment section about this week's post. And I will see you on Tuesday for the launch of Polish Your Poise with Madame Chic! Have a great rest of the weekend. Exercise Clothes in Nice Restaurants? Today I have a nice, juicy chat video for you as a bonus this week. I love doing these videos because I feel as though we are actually chatting together and we can continue the discussion in the comment section and on social media. These days it is rare when my family and I go to a nice restaurant, so when we do go, our expectations are high. We went to a fancy Sunday lunch last weekend and this video discusses my thoughts and observations about those who wear exercise clothes to nice restaurants. I'm sure you can imagine what my stance on this is! And please let me know what you think. Do you think there is a direct correlation between dress and behavior? Have you noticed that people are no longer dressing up (or even appropriately) for nice occasions such as nice dinners or the theatre? Do you feel that this brings down the tone of the whole engagement? What are your thoughts? Don't be shy! Let us know in the comment section below and you could be picked as the comment of the week. I have written an article for Dress for Success on Poise in the Workplace. I am featured in Real Simple Magazine in an article called, 5 Ways to Handle an Awkward Conversation. 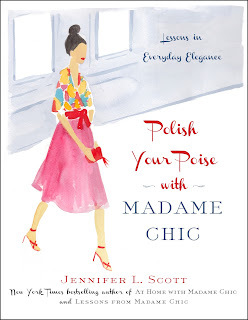 Polish Your Poise with Madame Chic: Lessons in Everyday Elegance comes out next Tuesday! I am so excited for you to read this latest installment in the Madame Chic series. I will be speaking and signing books at Pages Bookstore in Manhattan Beach, Thursday, October 29th 7pm. I hope to see you there! I will be signing extra copies of Polish Your Poise with Madame Chic at Pages and they will have these copies available to sell after the event. I myself am struggling with a new change in my life: I took a job in a city about 20 minutes farther than I currently drive to work, so will be taking transit into the city each day now, instead of driving. I am looking forward to time to be able to read to and from work. My only concern though is footwear & purses. I will be walking probably 8-9 blocks per day so will be in search of appropriate winter footwear for Western Washington (it's very wet here during fall/winter). Do you have any suggestions or tips for incorporating chic looks along with form/function? Obviously heels are out for safety & sanity reasons. I would love to hear your input on this subject! Congratulations on your new job Candice! My advice for you is to wear an all-weather boot. Something comfortable to walk in and able to withstand the elements. If appropriate, you can keep a pair of chic flat shoes or heels in your office and change into them once inside. If not, many flat boots are very attractive and will look good with most outfits. Good luck! 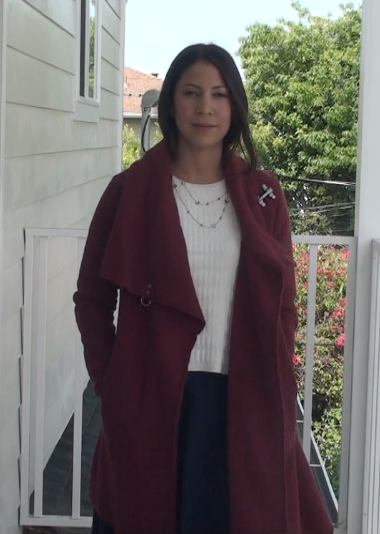 This week's post and video are full of my seasonal favorites. I share my favorite fall candles, nail polish and lip colors as well as my fall home decor. I really enjoyed hearing Melissa55's fall favorites on her YouTube channel and was inspired to do this video for you. I would show you my leaves candle in this image but It's all burnt down... time for a new one! I burn more candles in the fall and winter months than I do any other time of year. Bath & Body Works always seem to capture the season to perfection in their candles, my favorite one being Leaves (notes: golden nectar, red apple and spiced berries). This year I have also used Sweet Cinnamon Pumpkin (notes: harvest pumpkin, sweet vanilla cream & spicy cinnamon stick) and Autumn (notes: bright red apple, cedarwood & fresh balsam) too. During the fall season, I like to wear deep plums, rich reds or wine- colored nails. 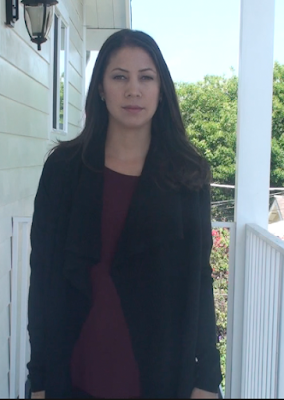 In this video I am wearing Dior nail polish in Nuit 1947. My favorite lip shade for fall is Clinique's iconic Black Honey. I have it in the gloss but you could also use the stick. ** Side note: I have just noticed that Clinique have black honey in a mascara (!). Considering how much I love YSL burgundy mascara, this might be worth a try too. If any of you have tried it, please let us know what you think. As the flowers in the garden go dormant for the fall/ winter season, I like to bring out faux flowers to add a touch of color to the house. Silk or faux flowers are not what they used to be! They look very realistic now- you just have to know how to style them. In this video I show you one of my tricks: using leaf ribbon to line the inside of the vase to get a professional floral look. 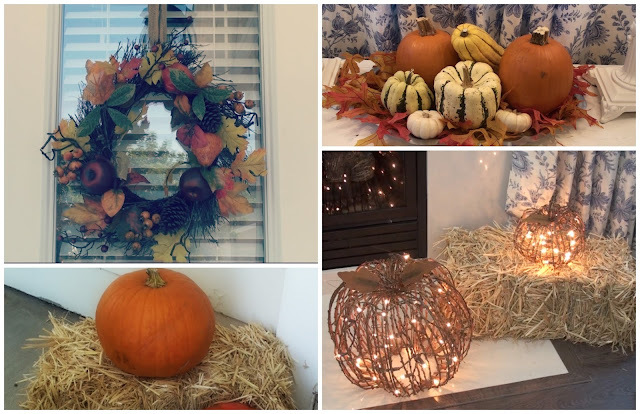 In the video you will see our fall wreath, outdoor pumpkins and haystacks, indoor light up pumpkins, my fall pumpkin centerpiece and more. If you are unable to see the video above, click here, look in the sidebar of this blog, or visit my YouTube channel. If you enjoy the video, don't forget to "like" it with the thumbs up. Be sure to subscribe and select the option to receive emails for new uploaded videos. I plan to post many bonus videos during the holiday season. 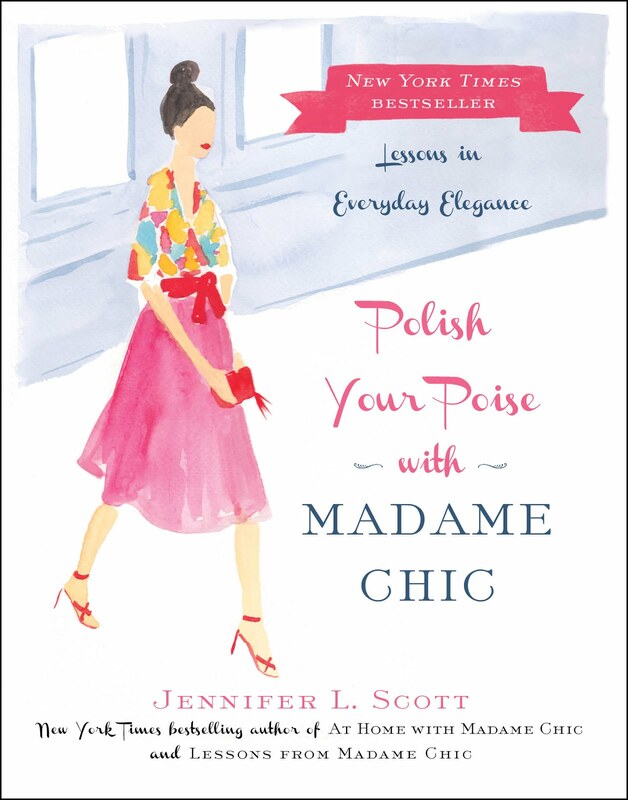 Polish Your Poise with Madame Chic: Lessons in Everyday Elegance comes out on October 27th! Pre-order available now. I will be reading and signing books at Pages Bookstore, Manhattan Beach on October 29th at 7pm. I hope to see you there! 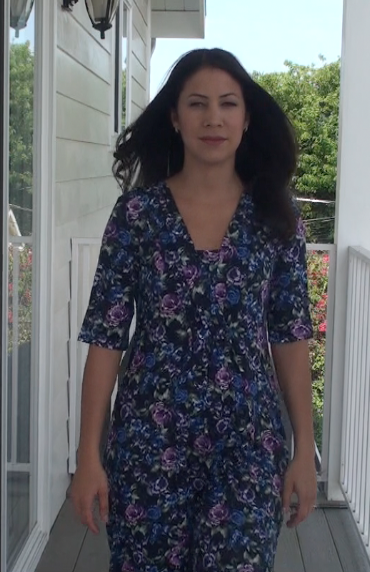 Thank you to Live Intentionally for your wonderful video review of Polish Your Poise with Madame Chic. 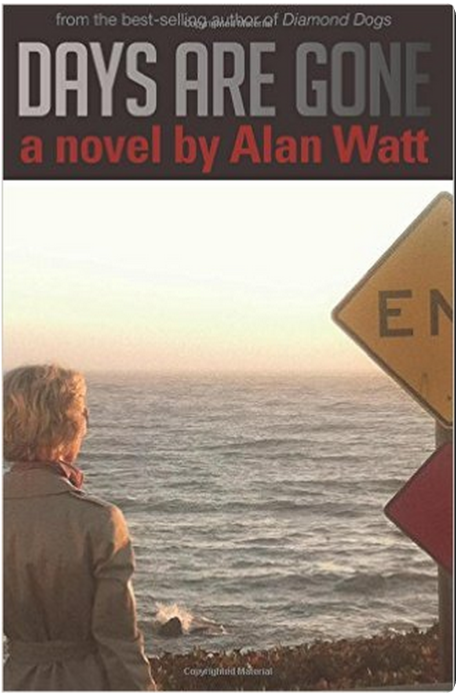 Congratulations to my writing mentor, Alan Watt, who has published his highly-anticipated second novel, DAYS ARE GONE. This dark and edgy work examines second chances, forgiveness and redemption. Alice just walked out of her marriage to aging rock star, Chick Wolfson, leaving behind her San Francisco penthouse and all the trappings this union conferred. She drives north to Seattle to stay with her folks, but never makes it. Chick cancels her credit cards – her parents disapprove of her choice mainly because she’s spent her marriage lying to everyone including herself about the nature of their relationship. With her tank on empty, she crawls into Waiden, a small Oregon town off the coast, and checks into the crumbling Frontier Inn where she lands a minimum wage job. While there, she finds herself attracted to Webb Cooley, grocery clerk, and recent parolee of Oregon State Correctional Facility. Webb is quiet and withdrawn, with secrets of his own. Soon they are pulled into a relationship that they are each using to exercise their own particular form of escape. As they grow closer, their desire to be known by each other threatens to reveal the secrets from the past. Exquisitely written with a propulsive narrative, Days Are Gone explores the nature of regret, and how faith and forgiveness are the surest path to freedom. Jennifer, I had an interesting experience living the Madame Chic habits that may interest you. To "look presentable always," I have been trying to rise earlier so I can shower, dress, etc. before walking the kids to the bus stop. Most days I have been successful with this. The first three weeks I felt a bit out of place in my summer skirts and nice ballet flats. Many of the other moms were in pajamas, sweats, etc. Yesterday morning was especially difficult for me, emotionally. I had attended an Officers' Spouse Club meeting the night before. We are relatively new to the military life, and the feeling that I didn't fit in was especially strong that morning. Still, I put on my summer skirt and nice ballet flats, did my make up with the dramatic eye variation, and walked out to the bus stop. Imagine my surprise, delight, and relief to see two of the other moms at the stop wearing skirts and ballet flats. (All three of us wearing it in a different color and cut). Some readers express frustration at standing out too much when they try to adopt a Madame Chic lifestyle. My experience at the bus stop showed me that perhaps we can be a positive influence on those around us. Thank you, Jennifer, for being a positive example in my life. Thank you Stephanie for your inspiring comment. I love that the other ladies dressed up, most likely because of your influence. Your silent perseverance is very powerful! Dear Isabell. I think you should continue to commit to playing the piano every day if it brings you joy. Age should never discourage you from doing anything you love to do. My Grandmother played the piano well into her 90s and it brought her such happiness. It is never too late. Enjoy every note! 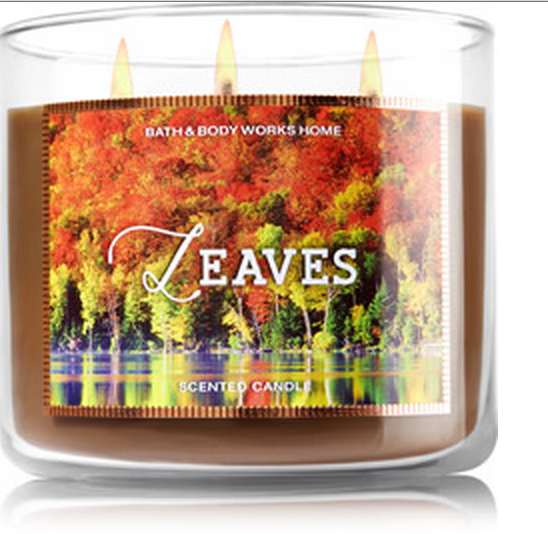 This week I would love to know... what are your favorite fall candles, beauty items or ways to decorate your home? See you on Thursday for a special bonus video! FTC: All items featured in this video were purchased by me. I have no affiliation with any of the companies mentioned. All opinions are (as always) my own. For still pictures of all the pieces as well as pertinent links, please visit my original ten-item wardrobe fall/ winter 2015 post. There were many holes to fill because last year's wardrobe was more budget-geared and filled with older items. I filled the spots with higher-end, higher-quality items this year with the hope that they will wear well and last to show up in next year's wardrobe. I often purchase from the same retailers as I put these wardrobes together in some what of a "rush" for the blog. I also like to purchase from stores that are ready available to people online. If I wasn't blogging my ten-item wardrobe, I would take my time purchasing pieces from more diverse retailers. 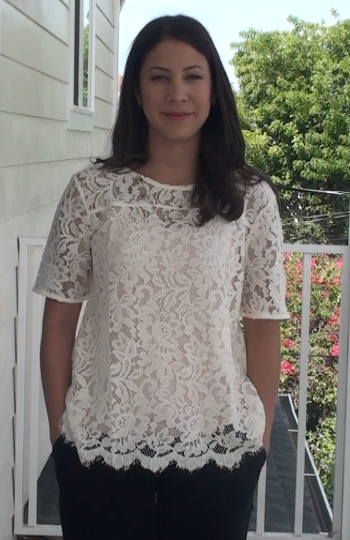 The lace tees from Loft look like blouses but are actually tee shirts. Loft label them as "tee shirts" so I included them in my extras. There are so many wonderful dressy options today for tee shirts that can help dress up even the most casual looks, which is something I love to advocate. I purchased a few of the Boden dresses in a size up as an experiment. I find that after two seasons of heavy wear and washing, some of my clothes shrink. I will see if purchasing a size up makes a difference and will allow my clothes to last until next year. **This is a point that I forgot to mention in the video. I love my ten-item wardrobe this year! There are so many different combinations of outfits that I can compile. I will aim to do one or two "one week of outfits" videos for you this year so you can see it in action. I will be speaking and signing books at Pages Bookstore in Manhattan Beach, Thursday, October 29th 7pm. I've got a great story for you! When I graduated from my first degree, I couldn't find a job so I worked at the coffee shop that I worked at while I was in school. Well, guess who I met there? My husband! So if it weren't for that job I wouldn't have my husband or my 3 kids! Also, one of my customers noticed how hard working I was and hired me to work in my first 'real' job in my field! So, I agree, do your best at whatever you're doing, you never know what will happen! Thank you for sharing your story Shannon! You never know who you will meet or what doors will open for you on any given day so it's a great idea to give everything you do your absolute best. You have helped me think of my wardrobe as a garden to be cultivated and pruned until there are no weeds! Alicia, I adore that analogy! Thank you for your comment. Many people asked about the music in my ten-item wardrobe video. It is a piece called "Beautiful Emotional Piano". I download my copyright-free music to use in my videos from AudioMicro. If you are ever curious about features in a video (such as music, etc. ), always look in the info box below the YouTube video, where it will be listed. I just wanted to stop by and say I'm so excited about your upcoming book and can't wait to read what all you have to say on the subject of poise! I also wanted to share a movie recommendation with you and the D.C. community here. I was recently on a long flight and as I was scrolling through the in-flight movie options I stumbled across a 2015 French film called Un peu, beaucoup, aveuglément (Blind Date). This quirky romantic comedy had me laughing out loud on my flight and reminded me a bit of Amelie (which I know you love). Its a sweet romantic film that I know other daily connoisseurs will love. Plus, it is devoid of the sexual vulgarity that we have come to expect from the majority of our American romantic comedies. Thank you for this recommendation Megan! This week I would love to hear from you. What are your thoughts on the talk-through? How is your ten-item wardrobe coming along? I am so pleased to present you my fall/ winter ten-item wardrobe for 2015. This year's wardrobe was so fun to put together. 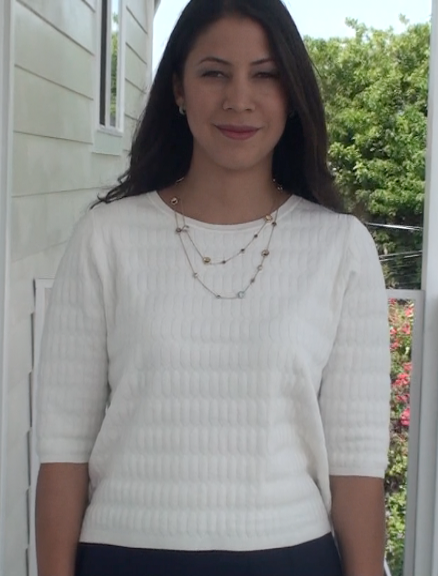 I am experimenting with elegant looks that can be both dressed up or down depending on the occasion. You will see a nice mixture of solids and prints and everything oh-so-ladylike. As you know, last year's fall/ winter wardrobe was full of budget finds as well as older pieces so there were quite a few holes to fill this season. I have many thoughts on this process so be sure to check out next week's talk-through video to hear the in-depth details and learn from my insights. This year's ten-item wardrobe actually has eleven core pieces. I try to keep it to a strict ten to show you that it can be done but I also think it's important that you know this plan is flexible. It has room to adapt to your life. Many people do the strict ten, but many also do more like 15. You must do what works for you! I hope you enjoy the video! If you are unable to see the video above, click here, look in the sidebar of this blog, or visit my YouTube channel at www.youtube.com/TheDailyConnoisseur Be sure to subscribe to my YouTube channel as I will upload a lot of bonus videos during the holiday season. Boden Erica dress one in dusky rose and one in navy. The extras will compliment the core items. These are not my only scarves. I also have black and tan scarves. Here I am showing my grey Massimo Dutti scarf with an Ann Taylor grey cardigan as well as a green tartan scarf no longer available. The ten-item wardrobe is a fun, exciting and liberating process. Once you try it you will never want to go back. If you have been on the fence about the ten-item wardrobe but feel even the slightest interest, give it a try this season to see how you like it. As a New Englander with a Ten Item Wardrobe I hope you don't mind my adding a few thoughts about winter wardrobes. First, there are days in January and February where I have to ignore my wardrobe and just dress for safety in the elements and I don't see that as going against the principles in any way. Second, my big investment most years is either a new pair of winter boots or a nice wool coat. I only pull out the Bean Boots and puffer coat on the dangerously cold days or ones with heavy snow. Third, my fall and winter wardrobes are not the same. While I can get away with a single capsule for spring/summer, I want completely different things in 50 degrees vs. 5. Finally, if I see that corduroy or wool trousers and lined skirts are big in stores in a given year I will buy duplicates because for whatever reason it's not always easy to find them every year. Hopefully that's helpful for anyone looking to take the plunge from a colder climate! I always love these videos. I learn so much from them. I just wanted to mention about winter and wearing dresses. I have not looked back since I discovered fleece lined tights. They are the warmest things ever! I fact I tend to favour them over trousers as they are really warm. Great advice ladies! Thank you for encouraging those in a colder climate to try out the ten-item wardrobe. You are proof that it works no matter where you are! With the ten-item wardrobe, do you find you have to do laundry more often and do your clothes wear out faster? Thanks for your advice. I look forward to your blog each week. Hi Julie, We do our laundry once a week. I do not find that I have to do my laundry more often with the ten-item wardrobe. I do find, however, that the clothes wear down faster. This is why I advocate getting the highest quality you can afford. One of the reasons why many pieces from last year's wardrobe did not make it this year was because they were heavily worn, they wore out by the end of the season. This does not happen with my higher quality pieces, which you will see can last even 4 to 5 years with repeated heavy use. Stay tuned for next week's ten-item wardrobe talk-through. See you then!